It was a rainy day in Hong Kong as I tried to take my parents around town while they visited from out of town. We dodged the rain by ducking into a ceramics shop in Sheung Wan. 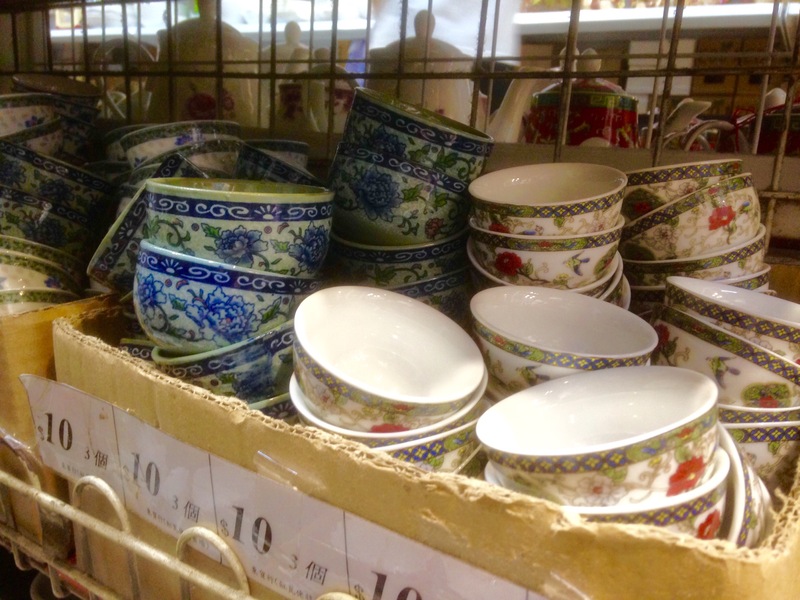 The shop carried all kinds of ceramics: bowls, plates, tea sets, pots for plants, etc. 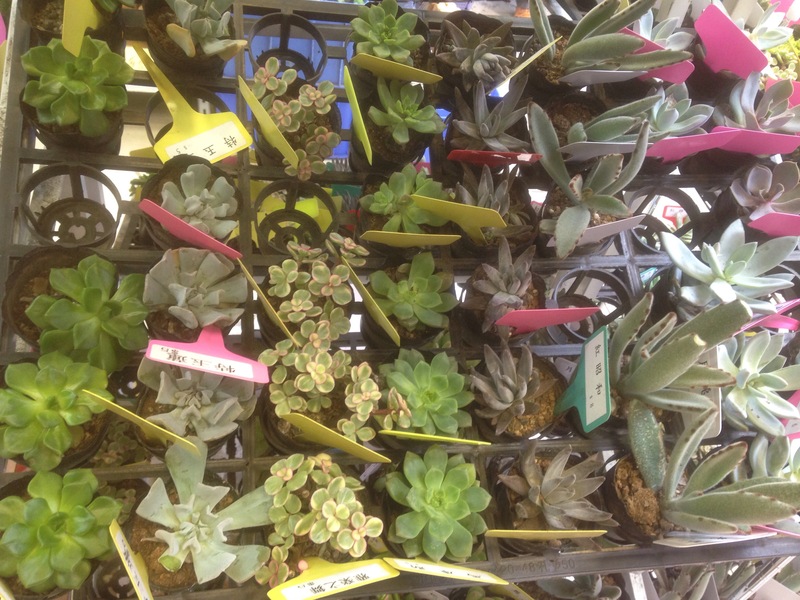 In a section towards the front, they even had these little plants for sale. Little bits of greenery meant to cheer up a very small corner of a very cramped apartment. As I was lurking in the corner, waiting for my parents to finish picking up little ceramic knickknacks for souvenirs, I observed this western guy standing near a shelf of tea cups. The guy was, one-by-one, picking up and examining every single tea cup there. 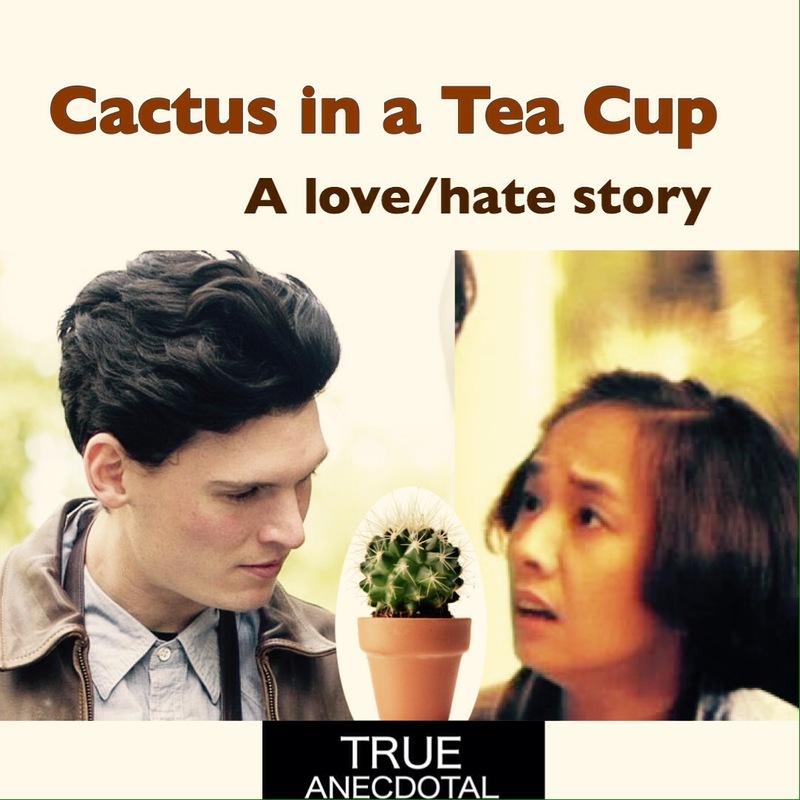 Each time, he held up a tea cup he would then drop a little cactus inside, examine it, realize it was an awkward fit and then move on. 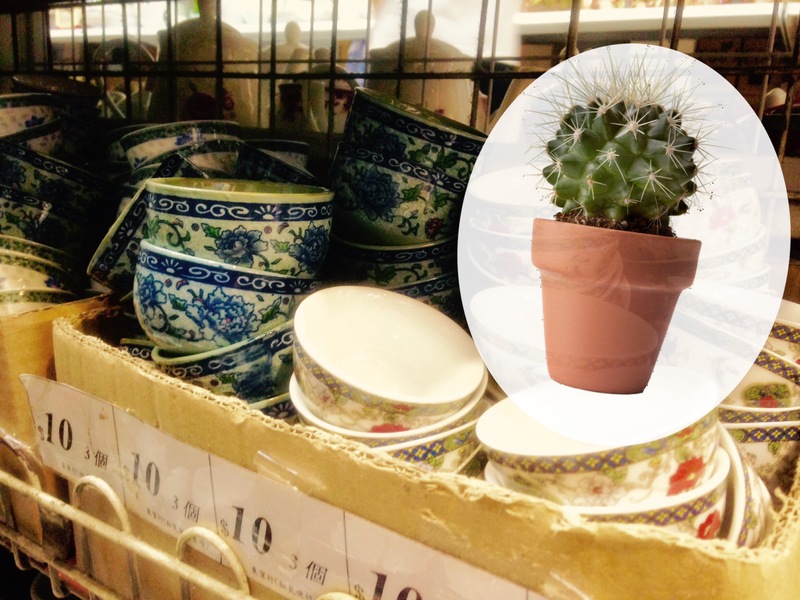 From what I could tell, this guy was intent on searching for the perfect tea cup to be a pot for his little cactus. Each time he came up a bit short in his endeavor. I can only assume that he had no interest in any of the selection of actual pots for little plants that were stocked in a shelf nearby. I felt for the guy. He was on a mission to find a new home for his new spindly friend and he was not going to be deterred in his search. He would try a blue cup with stereotypical Chinese porcelain design. Nope, too wide. Then he’d try a red cup with a more avant garde interpretation of stereotypical Chinese porcelain design. Nope too deep. Then a green one, etc. etc. etc. I watched this scene for five minutes and I gotta admit, I was kind of routing for the guy to finally find a cheap $5-10HKD tea cup for his stupid, little $5HKD cactus. What I found most entertaining about this was not so much the western guy’s plight for the perfect tea cup-cactus combo. It was the middle-aged Chinese lady standing right next to him. It seemed she too was shopping for tea cups, but I imagine she had strictly more traditional uses in mind. The entire time, while the westerner was dropping his cactus in each and every single tea cup, she was standing right next to him, unnoticed and giving him this dirty look. It was the kind of dirty look that was the perfect combination of horrors and bewildered. I could tell in her face that she really really, really wanted to tell this guy that these were not flower pots. There were a couple of moments I could tell she was building up the courage to say something, but she never seems to build up the nerve to blurt it out. So, she’d go back to giving him the look. If you’re wondering what that look looked like, it was something along the lines this picture of Teresa Mo. Damn gwai lo better not get his thorns in my tea cups. So with her unwilling to speak up and the guy unreletantly focused on his quest, I stood back and watched this comedy of errors for a few minutes, until finally, at long last, the western guy found a cup to his liking near the bottom of the shelf. The guy went off with his cactus in a tea cup. The lady picked up her own tea cups. And both went their separate ways, never to meet again. A brief and mundane chance encounter that probably ruined each other’s day a little bit. Still, I couldn’t help, but think that through it all, a tiny connection was formed between these two wayward souls. One that will stay with them without even knowing. In either case, I was amused. It’s not every day that you get to watch an accidental, live action, theatre of the absurd performance art piece in a Hong Kong ceramic shop. It was like a Samuel Beckett play… if that Samuel Beckett play was silent… and starring Teresa Mo.